Another Sunday dawning with leaden skies and a shiny wet track surface is always good news for race fans who enjoy overtaking, uncertainty, and wild swings of fortune as a staple of their Formula One diet. Until Sunday's Italian Grand Prix, wet races had been an occupational hazard for the championship contenders - but not an insolvable riddle. Since the end of the Michael Schumacher era, there have been seven wet grands prix. On the previous six occasions, one of the Ferrari or McLaren championship contenders was able to conquer the adverse conditions to secure victory. Five of those races also featured at least one McLaren and one Ferrari driver on the podium. If Kimi Raikkonen's gamble to stay on worn intermediates at Silverstone hadn't backfired, that streak would have been extended to six out of six. 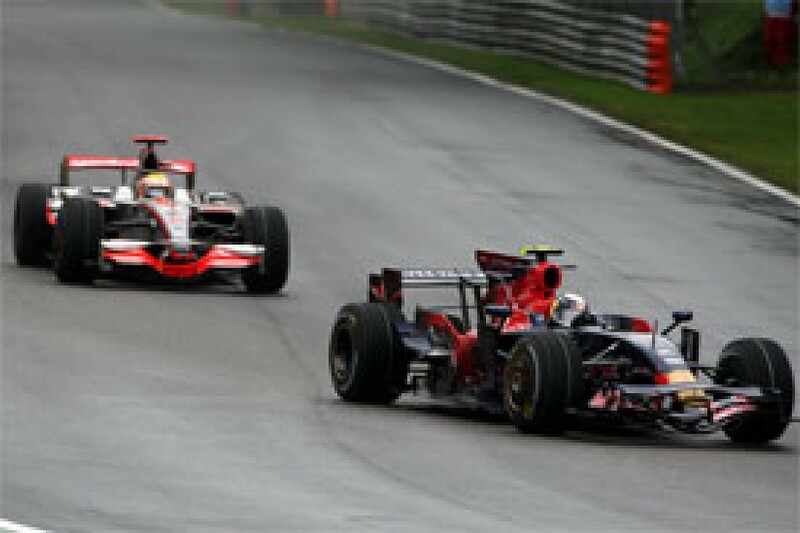 In short, the wet races of 2007 and 2008 produced thrills aplenty, but no fundamental change to the form book: McLaren and Ferrari in a league of their own and able to dominate the also-rans, whatever the conditions. Given that history and the consistent manner in which the top two teams maintain their development and performance as the championship pressure increases, the Monza podium should have been a lock-out for the championship leaders. During the free practice sessions on Friday and Saturday morning, there were already warning signs that, on this particular race weekend, things might turn out differently. Although Raikkonen was fastest during the drier second session on Friday, the Ferraris and McLarens were conspicuous by their absence from the top six in both of the wetter sessions. Still, with Hamilton (in particular) choosing to do limited running in the worsening conditions, there was every expectation that a dry qualifying and/or race would see the form book restored. When the rain persisted, resulting in the reigning champion and the current championship leader propping up the time sheets in Saturday's second qualifying session, the unthinkable became a distinct possibility. Could Ferrari and McLaren be beaten at an Italian Grand Prix that both teams desperately needed to win? When surprise pole-sitter Sebastian Vettel not only held off Heikki Kovalainen during the first stint but actually built a comfortable lead over the McLaren, the distinct possible turned into the truly sensational. On Ferrari's home circuit, which happens to suit the McLaren particularly well, the two giants were about to be trounced by a car that, just a few short years ago, would have been a Minardi. It would be overly romantic to still describe the Toro Rosso as a Minardi. Since their rebirth as the younger sibling of Red Bull Racing, Scuderia Toro Rosso have benefited from a level of funding and resources that perennial minnows Minardi never enjoyed. Vettel's win, as praiseworthy as it was, should also not have come as a great surprise. In the chaos of the wet races at Japan and China last season, Toro Rosso and Vettel showed that they had the pace to challenge for podium finishes. With McLaren and Ferrari lacking their customary dominance, Vettel was duly promoted up the wet race pecking order. As is so often the case with surprise first-time winners (Olivier Panis at Monaco 1996, Jenson Button at Hungary 2006, Robert Kubica at Canada earlier this season), the burning question is not what Sebastian Vettel did right, but what the established winners did wrong. In Lewis Hamilton's case, his eventual seventh place was not cause for undue concern. A glazed brake and a risky decision to start the second qualifying session on intermediate tyres put paid to his qualifying chances. 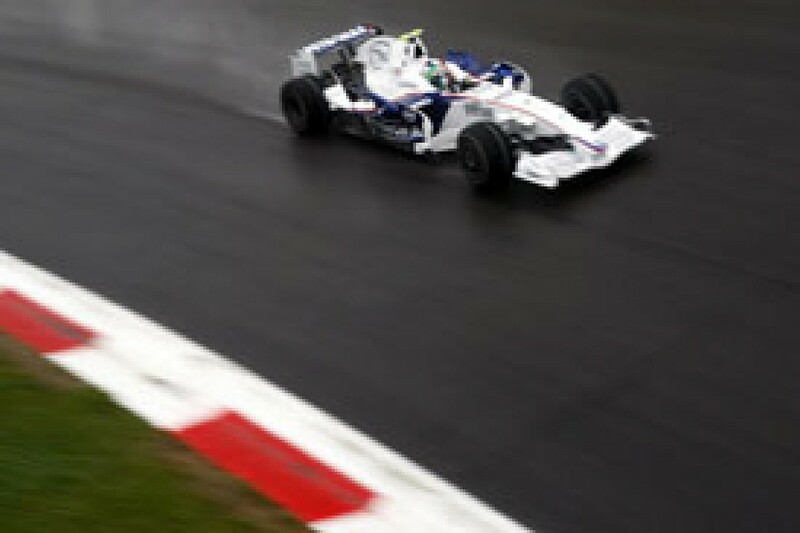 Still, even from 15th on the grid he was one tyre strategy decision shy of another astounding wet weather victory. By lap 26, race leader Vettel was just over one second ahead of the charging Hamilton, and losing time to his pursuer every lap. With both cars scheduled for one more pit-stop, the race was finely balanced. Hamilton had the pace advantage temporarily. But his stop would be longer, his fuel load heavier and his second set of tyres would have to last for much longer than Vettel's third set. Still, considering the mood that Hamilton was in, it would have taken a brave man to wager against the championship leader winning his third wet race of the year. Ultimately, it was rendered moot by another luckless but understandable tyre decision. With more rain forecast shortly, the team had little choice but to fit another set of full wet tyres on Hamilton's car and hope that the meteorologists had got it right. Their incorrect prediction was the only lucky break that Vettel needed all afternoon. Hamilton has good reason to be satisfied with his form. The way that he blew past cars during his charge up the field confirmed his wet weather skills. Still, there must be a growing sense of deja vu that he is once again seeing a commanding championship position slipping away from him. The downturn hasn't been nearly as catastrophic as it was last season, where Hamilton surrendered a 17-point advantage in just two races. But the Englishman arrived at Spa-Francorchamps six points clear of Felipe Massa and, on race pace alone, should have been able to extend his advantage in both Belgium and Italy. Instead, he has given up five points to his dogged Ferrari pursuer. His one consolation is that the mood at Ferrari has deteriorated from quiet confidence after the French Grand Prix to concern (following Massa's engine failure in Hungary) to ill-disguised crisis in the aftermath of a disastrous home showing at Monza. The Ferrari's problem with generating tyre heat and optimum grip in cooler conditions is set to intensify as the summer days shorten into autumn. Worse yet, the initial projection is for a reasonable chance of rain for Singapore's inaugural grand prix. If the subsequent races in Japan and China are as wet as they were twelve months ago, Hamilton will be smiling. Even if the grin turns into an involuntary flinch every time he passes that tiny gravel trap adjoining the pitlane in Shanghai. Ferrari have just one private test at Mugello to try and find a solution. Unless they can produce a miraculous improvement, inclement weather alone could decide the title in McLaren's favour. Although it's not yet certain that the championship is down to a straight fight between the two teams. He may not have drawn much attention among the joyous Vettel and Toro Rosso celebrations, but Robert Kubica's podium finish at Monza was possibly the most significant championship aspect of the weekend. Kubica is in the same position that team-mate Nick Heidfeld experienced for most of last season - not quite in the championship hunt, but not out of it either. The key difference is that the main contenders looked solid, consistent and focused after Monza 2007. This year, they look insecure and vulnerable. It would take an extraordinary turn of events for neither Hamilton nor Massa to lift the title in November. But then, prior to Sunday, it would have taken an extraordinary turn of events for Sebastian Vettel and Toro Rosso to win a grand prix. Another quietly efficient podium finish by the Pole, while others around him falter, raises the distinct possibility that Robert Kubica may yet have a stake in the 2008 drivers' world championship.